NOTE: This content is old - Published: Wednesday, Aug 21st, 2013. Come and join the fun at the Acton Park Fun Day. There are stalls, wildlife exhibition (birds of prey), activities for children and police cars/fire engines for the little ones to see. Fun for all the family. Brighten and sweeten up your home by making your own lavender bags. This event is suitable for all ages. An afternoon play day with clay. This is event is suitable for all ages. Does what it says on the tin. This event is suitable for under 16′s. This drop in activity will get the creative juices flowing and give you the chance to design your own tile. Inspired by the designs of JC Edwards, Acrefair, design and paint your own tile. This event is suitable for under 16′s. 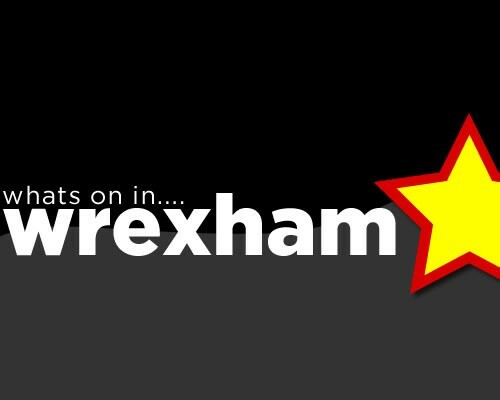 Organised by the ‘Change Wrexham For Our Future’ facebook page, this event is going to be a funpack day showcasing local business and talent from across Wrexham. The day will include performances from dancers and musicians, stalls from local businesses and plenty of hands on events for everyone to get involved in including face painting, bouncy castles!,giant garden games and much, much more!! Country Chic will be at the Visitors Centre providing a unique & fun Sand Creations Workshop for visitors to The Plassey. Paul Jones from The Archery Experience will be here The Plassey offering advice and tuition in the art of archery. Come along and join in the fun and learn some new skills. Pop on down to The Plassey for Fun In The Tea Garden. Bungee Trampolines, Climbing Wall, Face Painting & Much More! The chance to work out in the gym. This is event is suitable for Under 16′s. Family Fun Day by Home-Start County Borough of Wrexham. The event is to raise money and raise awareness of Home-Start. The event is for all families in Wrexham and surrounding areas. There will be activities for children as well as stalls and refreshments. Move gracefully in the water to the beat of the music. This event is suitable for under 16′s. The chance to make your very own animal pencil topper. Come along and have a try at this sport. This event is suitable for all ages. Pop down and try your hand at making a wooden bow and arrow. Pop along and see the animals up close, make a badge and experience a ride in the tractor trailer. Come and join the fun Tree Trail around Acton Park. Meet at the Herbert Jennings side of the park close to the children’s playgrounds.